Enjoy Our Special Pricing On All dvbt,dvb t,dvb t receiver,usb dvb t,dvb t stick,dvb t tv receiver Here. DVBT With Remote Control | DVB-T TV Receiver: 16dBi, 17dBi 18dBi 20 dBi anteena with base Booster Wireless WLAN Antenna RP-SMA male connector 2.4GHz Wireless WLAN Antenna AerialWe 100% secure guaranteed,100% brand new,100% Customer Satisfaction Guarantee, Full manufacturer Warranty, Full 30 days money back, low shipping To Worldwide. The Right Selection, Not Just The Biggest; The Right Model, Not The Most popular; The Right DVBT , Right When You Need Them ! You want to connect several units of audio- video equipment, but there is a lack of television input signal source terminals. The signal connection wires are often plugged and unplugged, which is very inconvenient. If you want to connect several units of audio- video equipment, but there is a lack of television input signal source terminals. The signal connection wires are often plugged and unplugged, which is very inconvenient and damage interface easily. *Microprocessor controlled Delta-peak sensitivity. *Individual cell balancing Li-ion, LiPo and LiFe capable Ni-Cd and NiMH capable. *Large range of charge currents Store function, allows safe storage current. *Time limit function. *Input voltage monitoring. Send Video to your PC through USB port. Record Video in DVD/VCD/MP3/4 format and save in hard drive. Watch Video on Desktop/Laptop Monitor Screen. With Professional and easy to use video editor software: Ulead Video Studio 10.0 SE DVD. Video Y Splitter Cable you can share video easily and is perfect for presentations. It splits the (S)VGA signal providing simultaneous display of the same picture. The Video Y Splitter makes connecting two monitors a snap! The Video Y Splitter works. Switch power supply, convert AC 110V/220V to DC 12V . Dual input voltage: AC 110V/220V. There is a switch, choose the proper voltage before use. Steady and precise output voltage. Shortage protection, overload protection, over voltage protection. Make your Car AUX audio sytem and Home Theater AV HiFi Surrounding system become bluetooth compatible, get music from Bluetooth enable device such as iPhone, iPad, iPod, HTC Samsung Smart cellphone or Bluetooth PC, Laptop. Operating voltage range: 11.0-18.0Volt. Circuit power: Max Charge: 50W / Max Discharge: 5W. 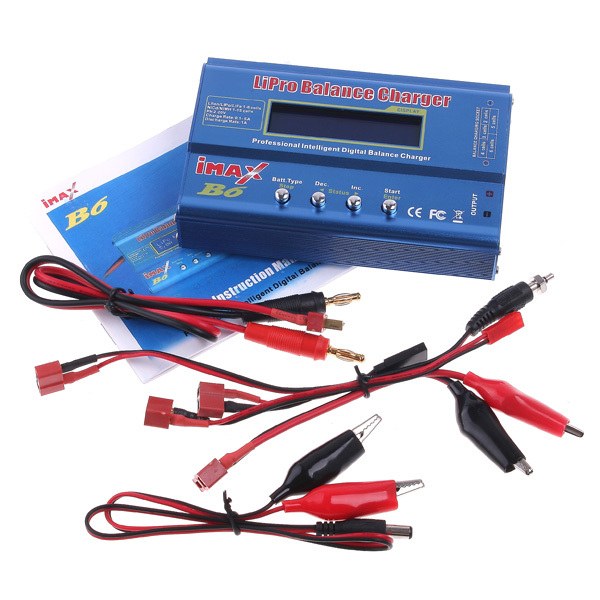 Charge current range: 0.1-5.0A. Discharge current range: .1~1.0A. Dimension: 133mm x 87mm x 33mm. Device weight:580 g. Backlit LCD Display. Li-ion/Polymer cell count: 15 series. This video switch splitter features its excellent work performance and can bring much convenience to the users. It can let the signals from one computer splitted to two monitors, projectors, etc in high quality. With its help, two monitors, LCDs, Projectors or other devices, can share one PC. It's really a good thing for you to save money! Engine RPM. Calculated Load Value. Coolant Temperature. Fuel System Status. Vehicle Speed. Short Term Fuel Trim. Long Term Fuel Trim. Intake Manifold Pressure. Timing Advance. Intake Air Temperature. Air Flow Rate. U281 is a kind of auto device for reading and erasing trouble code in vehicles, sometimes called car reader.U281 is specially designed for car owners or DIY. With a U281, you may quickly find out trouble causes (troubleshooter) of electronically controlled systems on your car. Besides, it is also a online streaming player and game player.Through wired networking or WIFI,you can connect your Local network and internet,download many free android APK from Google android market,and watch online videos such. Supports the video output: 720P Supports popular video formats such as RMVB, RM, AVI, and, MPEG, Supports SD cards, USB Flash Drive, and External USB hard drive. Provides thumbnail and list views so you can browse the contents by file names or thumbnails of photos and Pre-view videos. Super Mini ELM327 V1.5 OBD OBDII Bluetooth Car Auto Diagnostic Interface Scanner.Display current sensor data, including: Engine RPM, Calculated Load Value, Coolant Temperature, Fuel System Status, Vehicle Speed. This eGo Vaporizer is an efficient and easy to way to enjoy your favorite vaping liquids. The unique heating element in the chamber heats up your oils evenly and effectively with no worries of leakage or dripping. 100% Brand New. Suitable for Laptop and Desktop. Simultaneous display on VGA monitor and TV. Support 640x480,800x600,1024x768 display mode. Supports NTSC,PAL,PAL-M,PAL-N,AND SECAM video system. Support position control & menu button Support over-scan & under-scan function. Direct powered from USB Port. No software driver requirement. ISO15765-4 (CAN). ISO14230-4 (KWP2000). ISO9141-2. J1850 VPW. J1850 PWM. Color: Back + Orange + Blue. Item Size: 8.2 * 4.6 * 2.5cm. Package Size: 12 * 16.3 * 2.5cm. Item Weight: 58g. Package Weight: 68g. Scanning width: 80mm.Depth of reading:0 to 30mm (PCS Value:0.9).Scan rate:50/100 scans/sec.CCD resolution: 2048 Pixels.Image Sensor:High resolution Charge Coupled Devices (CCD).Light Source:Red LED array 660nm. PCS Value: More than 0.3.Resolution:More than 0.1mm (4 mils).This barcode scanner can read barcode as follows:Code 11,Code 39,Code 93,Code 128. Read diagnostic trouble codes, both generic and manufacturer-specific, and display their meaning (over 3000 generic code definitions in the database). Clear trouble codes and turn off the MIL ("Check Engine" light). Standard RCA "VIDEO, R-AUDIO-L" (yellow-red-white) connectors. 1 RCA AV in, 4 RCA AV out . Enable 4 RCA output (HDTV, LCDs, projectors, etc) share one RCA input (DVD, Set-top Box). Easy connection, simply connect 4 audio & video devices (HDTV, LCDs, projectors, etc) to the "OUT 1, 2, 3, 4" while your RCA input (DVD or Set-top Box) to the "IN". This is U480 Auto Car diagnostic scan tool. With it you can find out trouble causes (troubleshooter) of electronically controlled systems on your car, by simply connecting U480 with the 16 pin diagnostic socket. With a SD/MMC interface,supports portable memory drives such as MMC & SD Cards. Directly read SD card and USB hard disk, and play directly to TV, LCD & CRT. Rich video output interfaces,the real digital HDMI1.3 interfaces,YPrPb,AV. The V3 G2 is small, matte black, and completely noiseless. It starts up in less than 2 seconds and has an intuitive and responsive interface, making it effortless to enjoy all your media content without the need for a computer. This amazing device allows you to attach additional display to PC or laptop without annoying of take your computer apart , you can effectively multiply working space through the USB 2.0 port . Primary , Extended , Mirror and Rotation modes are available for your preference for productive job.Compliant with USB 2.0 specifications. It supports OBD-II protocols and is dispatched with a number of programs. ELM327 OBD-II Software is a free program that allows you to use your PC and a hardware interface to get the information from your car's computer. 100% Brand New. * High Quality. * Color: Silver. * Cable length: 20cm. * Bandwidth: 2400MHz. * Easy installation, good looking. * Maximum Power -W :50. * Input impedance: 50 Ohms. * Bandwidth-MHz :100* Directional antenna. * Product size: 48cmx7cmx3cm. * Gain: 20 dBi. * Vertical lobe width: 23°. * Horizon lobe width: 26°. Plug Stand: US / EU (choose one as you like). Color: Blue. Chipset: Boxchip F10. Language: Multi-languages. Adapter Input: 100-240V. Adapter Output: 5V. A/V out: CVBS, YPbPr, Stereo L/R, S/PDIF(optional). HDMI output: HDMI V1.2. Case material: Aluminum. Card Reader: SD/MMC/MS/MS pro. USB Interface: USB 2.0 host, USB Storage device(0GB/4GB/8GB bytes). High VGA Resolution 1024x768, 1920x1440, 2048x1536. 4 Computer Ports: 7 Console Port: 4 to connect to computers + 3 console ports for keyboard, mouse,etc. Computers Supported: 4. Keyboard Emulation: USB / PS/2. 100% Brand New Powerful small size wireless transmission up to 100M.2.4GHz Wireless Transmitter/Receiver System Specifications.Transmitting Frequency: 2.411GHz, 2.431GHz, 2.451GHz, 2.471GHz, Number Of Channels: 4. A/V Mod Method: FM. RF Power: Model A:20mW; Model B:100mW; Model C: 1W. Input: VIDEO OUT+R/L AUDIO IN. The popularization of computers brings great conveniences for people's work and life.Maybe at one certain occasion you need to change the VGA signals into Video/S video signals.The movies you downloaded from the internet can be entirely combined to the family cinema,and you can easily experience cinema effection. The USB 2.0 Graphic Adapter allows you to connect an extra monitor to your desktop PC or laptop's USB port. The connected monitor can be configured to either clone your primary screen, or extend the Windows desktop allowing visibility of more applications at the same time. It operates at a high resolution of 1600x1200/1680x1050/1920x1080. The USB 2.0 to VGA Display Adapter, an external graphics card, enables you to connect additional monitor( LCD,CRT) or projector to your desktop/ notebook computer. With USB 2.0 connection,there is no need to open the computer case or struggle with compatibility issues related to a second display card.Design for display devives connectiong to PC/ laptop. The whole family shares one computer,watching movies and playing games on the internet. Brand New and High quality. DVB-T VOFDM demodulator. MPEG transport demux and A/V decoder. 32 programmable PID filters. Embedded 32-bit RISC processor. Embedded audio processor support multiple audio format. Embedded 8 bit i/o processor support programmable interface control. 100% Plug-and-Play. No drivers or special software are needed. USB Interface, Your Windows must support USB HID device, there is no driver require, but if your system ask for the driver, that means your system is not Fully HID support, we suggest to upgrade to XP or Win2000. The USB 2.0 Graphic Adapter driver used to control the extra screen uses very little computer resource and offers a vast array of screen resolutions and color depths. This ensures that there is little difference in performance between a directly connected screen and a screen connected through the USB 2.0 Graphic Adapter. 3-in-1 multimedia wireless keyboard (Keyboard, TouchPad, Laser Pointer). Built-in rechargeable more staying power lithium-ion battery. 2.4G wireless receiver integrated design. Built-in laser pointer. Back-light keypad designed to enable easy operation in dark and low lighting environments. Whether you are sitting on the sofa, or a comfortable bed, multimedia, wireless control. With this portable simple 4 Channel Video Grabber, you can connect your wired surveillance cameras ( up to four channels ) directly with your computer/Laptop and see four pictures ( quad) at the same time, you can also choose to install the video in your computer's hard disk. The Four Channel USB 2.0 Video Grabber supports Hot-plugging. Compatible with USB2.0 specification. The light intensity can be changed to offer professional effects. Also in the box are one white filter to soften the light (diffuse effect),and one warm filter to reduce the color temperature.One can also check for charge capacity. Can install on the DV or DC with standard hot shoe. Rotate switch be use to on/off and adjust the brightness. Attach with diffuser and 3200k filter. Standard RCA "VIDEO, R-AUDIO-L" (yellow-red-white) connectors. 1 RCA AV in, 4 RCA AV out . Enable 4 RCA output (HDTV, LCDs, projectors, etc) share one RCA input (DVD, Set-top Box). High quality components and advanced ircuit design technology. For the Lecturer, Meeting Presenter, Classroom Teacher, Sales Manager, or anyone using a projected image, the Handheld PC Keyboard and Mouse Touch Pad allows you to stand in front of your meeting and Change slides, Select screen options, Write on the projected image, Emphasize words and objects with dynamically inserted lines, Draw on the projected image dynamically. Nbox can play the multiple video file formats including AVI, MPG, MPEG, DAT, RM, RMVB and VOB. Nbox supprots the following TV output modes: high defintion(HD), NTSC composite video and PAL composite video. Software upgrades can be conveniently performed by means of a special file copied from an external memory card. Fly Mouse is a new mouse and keyboard combo designed and created by Shenzhen Feishu Technology. It uses the bluetooth and it can be used up to 15 meters away from the PC/laptop The sales pitch of Fly Mouse saying that their mouse and keyboard combo offering an all-in-one solution to control your media center PC. This 4-port KVM switch allows you to control up to four PCs from one set of USB keyboard and mouse! Ideal for workstations, test benches or anywhere tasking between comptuers is needed. And it can save your money,time,space,equpment and power. 100% band new and top quality. USB 2.0 4-port KVM. Available USB ports. 100% brand new. Color: black. 16dbi WiFi Magnetic Antenna RP-SMA 2.4GHz. Max gained 16dbi, Provide more signals. The rubber ring on the antenna pole for bending the antenna easily. Magnetic base/stand for avoiding the abrasion of your table. The RP-SMA male with pin female connector. USB 2.0 Video Capture Adapter. Send Video to your PC through USB port. Record Video in DVD/VCD/MP3/4 format and save in hard drive. Play Video Game(PS2/3, Xbox 360, Wii....) on PC/Laptop. Watch Video on Desktop/Laptop Monitor Screen. 100% BRAND NEW. 4 channels video input in one card, the maximum display / recording rate is 25 fps under PAL format. * 100% Brand New. * High Quality. * 20dbi Omni Directional Antenna. Max gained 20dbi, provide more signals. * The rubber ring on the antenna pole for bending the antenna easily. 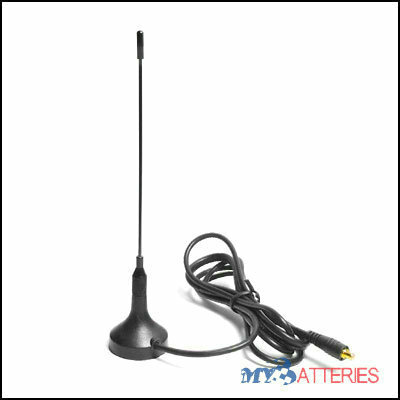 * RP-SMA connector 2.4GHz Wireless WLAN Antenna Aerial.Specifications :* Color : Black. * Shape : Triangle. * Gain : 16-20 dbi. 6.No software driver needed. 7.Power supplied by AC adapter directly. 8.Power/signal LED indicators. 9.Easy installation & operation, no additional software needed. 10.Portable size, convenient to carry. 11.Ideal for digital entertainment center, HDTV retail and show site, HDTV/STB/DVD marcketing show, business presentations, etc. This SATA & IDE HDD Dock allows you to plug any 2.5'' or 3.5'' SATA or IDE hard disk to your computer via USB port and use both HD at the same time. It can also function as a 2-port USB hub and card reader. Supports 2.5", 3.5" SATA/IDE hard drive. Supports E-SATA,USB1.1, USB2.0, SATA I, and SATA II compatible. Built-in 2-port USB 2.0 hub. 100% brand new, 18dbi Omni Directional Antenna, Max gained 18dbi, provide more signals, RP-SMA male connector 2.4GHz Wireless WLAN Antenna Aerial, Gain: 12-18dbi, Connector :RPSMA, Ambient temperature: -40~80?, Color: Black , Length:38CM. Stylish Slim Bluetooth Speaker offer users a simple,slim and inexpensive wireless hands-free solution for using a mobile phone while driving.Rather than installing an expensive Bluetooth kit inside your car,this offers much of the same functionality,but can be moved from one vehicle to another. 100% brand new, 16dbi Omni Directional Antenna, Max gained 16dbi, provide more signals, RP-SMA male connector 2.4GHz Wireless WLAN Antenna Aerial, Gain: 12-16dbi, Connector :RPSMA, Ambient temperature: -40~80?, Color: Black , Length:38CM. 100% Brand New. Weight: 302g. Size:140 x 90 x 22 cm. Color: White. The high-speed USB 2.0 interface supports "hot plugging" and enables connection with such equipment as Digital cameras and portable hard drives. It supports portable memory drives such as MMC, SD Cards and USB hard disks. For convenience, a remote control is provided. Wireless remote control of your PC with distance about 33Ft/10M. 3-in-1 design for one handed keyboard, mouse and touchpad access. Portable size, Convenient for Home, Business or Industry. Back-lit QWERTY keyboard. 75 Hour Battery Life. Wireless 2.4 GHz RF USB connection via USB Dongle. Charge via USB cable. Brand NEW in retail package. Device Type: Ypbpr 5 RCA Component to HDMI Converter. Interface Type: YPbPr/RGB + R-Audio-L Coaxial input, HDMI output. HDMI Transmission Rate: 5Gbps. Max. Response Range: 49.5 feet (15 m). Power Supply: DC 5V 1A. Dimension: approx. 4.2" L x 2.7" W x 1.0" H (107 x 68 x 26 mm). AC Adapter Cable Length: approx. 4.8 feet (149 cm). Weight: 10.47 oz (297 g). 100% Brand New. Suitable for Laptop and Desktop. Simultaneous display on VGA monitor and TV. Support 640x480,800x600,1024x768 display mode. Supports NTSC,PAL,PAL-M,PAL-N,AND SECAM video system. Support position control & menu button Support over-scan & under-scan function. This 2-port KVM switch allows you to control up to four PCs from one set of USB keyboard and mouse! Ideal for workstations, test benches or anywhere tasking between comptuers is needed. With support for 1920 x 1440 maximum resolution, this KVM is ready for any application. It's hot-swappable is controlled by the push-button on top of the unit! New generic 3 x 1 HDMI Mini Switch w/ Remote Control, Black. This 3x1 HDMI switch routes high definition video and digital audio signals from any one of the 3 sources. Accommodates simultaneous connections of up to 3 high definition video sources. Remote control and user manual included. Mutifunctional on switching:intelligent or mechanical. 4 standard "Y-Pb/cd-Pr/cr, L-Audio-R", 3 in 1 out. Easy connection, simply connect 3 audio & video devices (such as Xbox 360, Wii, PS3, DVD) to the "Input 1, 2, 3" connectors while your TV to the "Output" connector. Convenient operation, just press the relative button "1, 2, 3" when you want to use one of the four connected devices. Trichromatic aberration, high clear image. .High Quality generic (Non-OEM) 5 Feet / 1.5m HDMI HDTV to VGA HD-15, HDMI to 3 RCA Component Audio Video Adapter Cable for HDTV Plasma DVD. 2.Connectors(Gold-Plated):HDMI HDTV, VGA, 3 RCA. 3.It is also used to Connect HDMI to RGB. 4.Resolution: 1080p. 5.Cable Length: 5 Feet / 1.5m. 6.Color: Black. So many devices, so few ports! Connect more HDMI-equipped devices to your display with this switch, and enjoy the convenience of not having to change cables each time you want to use a different device. Works with HD-equipped electronics such as HDTVs, HD-DVDs, Blu-ray players, Xbox 360, PS3 and more. Allows for easy surveying of small, hard-to-reach places. Mini 9mm waterproof LED lens, 1.0 meter flexible tube. Manufactured and tested to IP67 waterproof standard. 3.5" TFT-LCD detachable/mountable monitor, built-in rechargeable Li-battery. Video recording capability, supports up to 32GB microSD card. Adjustable brightness on lens-mounted LED light. CF Slot: CF I, CF 2, Extreme CF, Extreme III CF, Ultra II CF, HS CF, Microdrive. MS Slot: MS, MS Duo, MS Pro, MS Pro Duo, MS Magic Gate, MS Magic Gate Pro, MS Magic Gate Duo, MS Magic Gate Pro Duo, Extreme MS Pro, Extreme III MS Pro, Ultra II MS Pro, HS MS. Magic Gate, HS MS Magic Gate Pro Duo, MS Rom, MS Select. Complies with IEEE802.3, IEEE802.3u standards. 5 10/100Mbps Auto-Negotiation RJ45 ports supporting Auto-MDI/MDIX. Supports IEEE802.3x flow control for Full Duplex mode and backpressure for half-duplex mode. Supports MAC address auto-learning and auto-aging. LED indicators for monitoring power, link, activity. Plastic case, desktop External Power Adapter supply. Supports microsoft intellimouse, logitech net mouse,etc Hot plug add or remove connected PCs for maintenance without powering down the KVM switch or PCs. Supports different interval latency auto-scan modes 1620 x 1440 maximum resolution ,Bandwidth: 200 MHz. LED display for monitoring status Switch Connections: 7 USB connectors: 4 USB B ports,3 USB A ports. 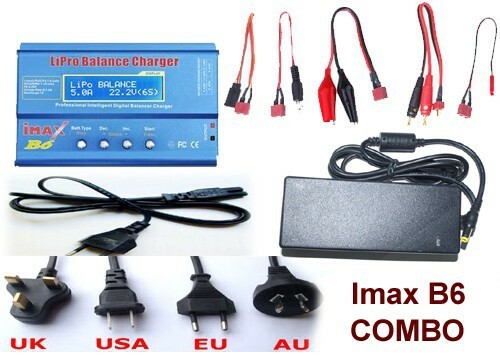 It can convert DC12V electricity provided the automobile into AC power, and be widely used with those electric equipments which power consumption are less than 150W, such as DVD, notebookPC, printer, fax machine, electronic game machine, video camera, digital camera etc. Aftermarket AC Wall Charge Adapter + Data Sync and Power Charge Cable. Brand New High Quality AC Charge Adapter. Input: 100 - 240V (fits world travellers in most countries). Output: 5V 1A. Work together with a USB Cable to charge your iPhone/iPod at home, in the office or on travel easily. Brand New High Quality USB 2.0 hi-speed Cable. Length: about 39 inches (100 cm). With this brand new YPbPr + Audio R/L to HDTV converter, you can connect your HDTV up to DVD, PSP, XBOX 360, Wii, NTL or TV to convert the YPbPr video and RCA audio signal to HDMI signal to display on the large screen of the HDTV.YPbPr/RGB + R-Audio-L in, HDMI out. Enable HDTV to connect DVD, PSP, XBOX 360, Wii, NTL or TV. This component cable is specifically designed to provide the sharpest video and sound for your Nintendo Wii gaming system. Connect to your HDTV (High-Definition TV) or EDTV (Enhanced-Definition TV) and enjoy the most stunning graphics available from your Nintendo Wii via 480p resolution Ultra thick and flexible PVC jacket with color coded connectors help to simplify installation. This HDMI Extender uses two pieces of CAT-5e/6 cables to extend the HDMI connection from source to display for up to 100 feet (30 meters) at maximun resolution of 1080p. It not only breaks the limitation of the HDMI cable transmission length, also the usage of CAT-5e/6 offers more flexibility and convenience in cable construction. You are bidding at a HDMI to Composite/S-video + Audio Converter, which is designed to convert HDMI to either composite video or S-video. It allows the device only equipped HDMI output to be connected to analog TV. Just connect the offered 3 RCA and AV cable to TV and the HDMI Displayer like HDTV, also, the offered power supply, you will have a exciting feeling. Have fun! 2-Port USB 2.0 KVM Switch with 2 Sets of Cables. 2-port KVM. Connects USB keyboard, USB mouse and video to 2 PCs. 1920 x 1440 maximum resolution. 250 MHz bandwidth. Manual switch. LED indicators (PC1, PC2). Two (2) KVM cables for connecting to PC. Supports different interval latency auto-scan modes. Plug and Play. Hot-swappable. 1. Splits HDMI signal to 4 HDMI displays completely. 2. Connects four HDMI displayers at the same time to? the same video source. 3. Maintains 480p,576p,720p,1080i and 1080p resolutions. 4. Maintains HDMI video signal. 5. Maintains HDMI digital signal. 6. Fully HDMI 1.3 compliant. 7. HDMI or DVI to HDMI cables used for inputs and outputs. 8. Plug-and-play, intall in seconds. Support IEEE 802.3, IEEE 802.3u. Supports software setting Port VLAN and up to 8 Port VLAN. Supports Port Enable/Disable. Supports MAC address auto-learning and auto-aging. Data Transfer Rate : 10/100Mbps. Interface Type : RJ45. Ports : 8 Ports. Standarts : IEEE802.310Base-T IEEE802.3u 100Base-TX. Type : Switch. Material : Plastic Case. New generic Premium Component HD AV Cable for Microsoft Xbox 360 / Xbox 360 Slim. This component cable is specifically designed to provide the sharpest video and sound for your Microsoft xBox 360 gaming system. Connect to your HDTV (High-Definition TV) or EDTV (Enhanced-Definition TV) and enjoy the most stunning graphics available from your xBox 360 via 480p resolution. Support Mini DisplayPort 1.1a compliant receiver offering 5.4 Gbps bandwidth over 2 lanes. Integrated triple 10-bit, 162 MHz video DAC fo analog VGA signal output. Supports up to 1080p, 1920 X 1200 reduced blanking video resolution. EDID pass-through from PC source to display. Powered from Mini DisplayPort source. 3.3V IO, 1.2V Core. 1.VGA Video + 3.5mm Audio to HDMI converter. 2.VGA + 3.5mm Audio input, HDMI output. 3.Convert the VGA Video + 3.5mm Audio signal to HDMI signal. 4.Enable the content in PC displayed on the large screem of HDTV. 5.No software driver needed. 6.Power supplied by AC adapter directly. 7.Power/signal LED indicators. Work together with a USB Cable to charge your iPhone/iPod at home, in the office or on travel easily. Brand New High Quality USB 2.0 hi-speed Cable. Length: about 39 inches (100 cm). Use to sync data between your iPhone/iPod and your computer. Use to charge your iPhone/iPod through a computer (where AC Charger is not needed). Color: White. 100% brand new with high quality. Compact, light weight, portable size. HDMI in, Composite/S-video + Audio R/L out. Convert HDMI signal to Composite/S-video + Audio R/L signal. Optional choice for output video systems: PAL/NTSC. Optional choice for output signal: CVBS/S-Video. (Note: this product doesn't support simultaneous output of Composite Video.) Power/signal LED indicators. This multi-media player is specially designed for the person who want to display digital photos, video and files in your USB flash disk, USB HDD, MP3, SD/MMC card (32G MAX) on TV or monitor without PC in high definition. It is plug-and-play and supports lots of formats, such as JPEG, M-JPEG, BMP, TIFF, PNG picture formats, MP3, WMA audio formats and RM, RMVB, AVI, MPEG1 (VCD). New Design, In the air, innovative Freespace motion sensing transforms hand motions. Accomplish functions of traditional keyboard and mouse. Adoption of USB 2.0 Micro Receiver to achieve the intimate connection between USB port and embedded motherboard. Control playback and volume with hand motions. Adjust volume by waving to the right or left; skip tracks with a flip of the wrist. Innovative design of the navigation keys, convenient and practical multimedia control keys and wireless technology to provide you with control of the PC from distance. Back-light keypad designed to enable operation in dark and low lighting environments. Specific multi-media remote control and Touchpad presenter function handheld keyboard. Brand New and High quality. Watch DVB-T TV on PC monitor, no software required. This DVB-T LCD TV Box supports VGA/AV output, enables one watch DVB-T TV programs and Listen to the radio on a LCD/CRT monitors or TV set. It is also a media center. The USB host function enable one record TV program to a USB storage device for later watching/replaying. Easy to use. * Input impedance: 50 Ohms. * Bandwidth-MHz :100. * Directional antenna. * Product size: 48cmx7cmx3cm. * Gain: 20 dBi. * Vertical lobe width: 23°. * Horizon lobe width: 26°.RP-SMA Male Connector (No pin inside).Attention:This item support 2.4GHz frequency only (Wifi/WLAN/WiMax ). The LED camcorder lamp light allows you to link lights together to make larger light. Features 160-LED lights for optimum illumination and diffuser. Helps ensure your pictures's perfect settings. This super lightweight 160-piece-LED item can be used in video taking,either for lights setup or supplement. The light intensity can be changed to offer professional effects. Specifications :* Color : Black. * Shape : Triangle. * Gain : 16-20 dbi. * Ambient temperature : -40~80?. * Frequency : 2.4G * VSWR : < 1.5 : 1. * Impedance : 50O. * Power : 50W. * Connector : RP-SMA. * Antenna Length : 44CM(17inch). 100% Brand New. High Resolution: 0.1mm (4 mil). Multiple Interfaces for Enhanced Compatibility High speed scanning engine: 100 scans/sec. Equipped with optional nice beeper to confirm successful reads. Excellent Field Reliability even in a terrible outdoor environment. The most cost-effective and easy-install device on the market. 100% Plug-and-Play. Advanced Built-in Microphone,with D.S.P.solution for Echo Cancellation & Noise Suppression. For your Home,Office,Car and anywhere you like without the hassle of putting on the earpiece. Voices were crisp and clear. Multipoint Feature is for connecting mobile phones at the same time. Big three buttons. Specifications: Bluetooth V1.2,Class 2,Working range of up to 10 Meters. Connector :RPSMA.Ambient temperature: -40~80 °C.Color: Black.Length:38CM.Max gained 17dbi, Provide more signals.The rubber ring on the antenna pole for bending the antenna easily.Magnetic base/stand for avoiding the abrasion of your table.The RP-SMA male with pin female connector. High-speed Wireless(802.11g) networking for your desktops computer. Data rates up to 54Mbps-5 times faster than Wireless (802.11b). Also interoperates with (802.11b) networks. Advanced wireless security: up to 128-bit encryption. 32bit pci bus interface. Compatible with windows 2000, and XP. 1. With E3C EC168 chipset,low heating and strong compatibility. 2. With DC TO DC power chip, which greatly improve the inherent noise problem of switch circuit as to reduce the interference to surrounding circuits. The design of dual power circuit strengthens the stability and service life. 3. Simply plug the TV stick into computer and install the driver. Adopt a five-Generation TV reception chips(Philips 7130). All remote functions:Remote-TV station, remote video record, remote scanning. Fifth-generation smart Hin use optimization technology to improve picture quality 35%. A single snap shot button, share the movies or photos you made via e-mail or website with the buddy you like, enjoy the stunning E-communication or burn them into DVD/VCD/SVCD.Powerful movie editing and DVD authorizing Ulead Video Studio 6.0 DE DVD software provides professional effect Compact design with amazing function. Enhance the digital/analogue signal strength and signal quality, a must have tool for DVB-T USB stick, provide extra clear view from your PC/Laptop. Magnetic based mounting make it be placed much easier. High gain amplifier, ideal for DVB-T Digital Terrestrial TV Receiver. Enhance the digital/analogue signal strength and signal quality, a must have tool for DVB-T USB stick, provide extra clear view from your PC/Laptop. Magnetic based mounting make it be placed much easier. High gain 18 dBi amplifier, ideal for DVB-T digital terrestrial TV receiver. USB 2.0 DVB-T Stick HDTV TV Tuner Receiver Video Capture for Laptop.Portable size equivalent to USB drive. Small antenna provide robust clear reception.Watch live terrestrial digital TV on your notebook/PC.Full bank reception ( compliant with EN 300744 / DVB-T ). Watch and record digital terrestrial TV on PC or Laptop /Full DVB-T bandwidth reception (6/7/8 MHz)/Still image. snapshots/Time-shifting/Scheduled recording. Digital TV recording and playback as DVD quality,Support multi-picture display.Support EPG. Watch and record digital terrestrial TV on PC or Laptop. USB 2.0 interface. Full bandwidth DVB-T reception (6/7/8 MHz). Still image snapshots. Time-shifting. Scheduled recording. Digital TV recording and playback as DVD quality. Support multi-picture display. Watch analog TV on PC or Laptop. New and high performance USB2.0 IC, no external power required. Support NS-High Speed, data transfer rate reached 480M bps. The features of products are completely accord with the specification of USB2.0 and it has received USB2.0 specification certificate. Watch analog TV on PC or Laptop. New and high performance USB2.0 IC, no external power required. Support NS-High Speed, data transfer rate reached 480M bps. The features of products are completely accord with the specification of USB2.0 and it has received. USB2.0 specification certificate. SINOVIDEO' s brand new product SV-3420B TV stick comes to market! This product had passed many field tests, which proves that our TV stick is 6dbi higher in sensitivity than similar products.Ultra high receiving ability,even works well in weak signal places. Watch analog TV and capture video on PC. Receive FM Radio broadcasts on PC(*1). Full channel (supplementary channel contained) scanning, up to 125 TV channels receivable. Real time MPEGI/II video recording and still image snapshots. All manufacturer brand names, logos and trademarks (such as Apple, Compaq, Dell, Gateway, HP, IBM, Motorola, Nokia, Panasonic, Samsung, Sony, etc) are the property of their respCtive holders .Any use of a brand name or model designation for a non-OEM product is made solely for purposes of demonstrating compatibility.